Delicious pineapple cherry smoothie recipe made with frozen pineapple, cherries, kale, almond milk, yogurt, and vanilla extract. A tasty and refreshing treat for kids or grown-ups! Who doesn’t love a delicious smoothie? Smoothies make a great breakfast option for those that don’t really like eating first thing in the morning. They also are a perfect healthy snack option. Smoothies are even a nice way to sneak some fruits and vegetables into your child’s diet. Speaking of adding fruits and veggies to the kids' diets, have you check out these fruit ice pop recipes? The only problem is you can quickly grow tired of the same flavor day after day. 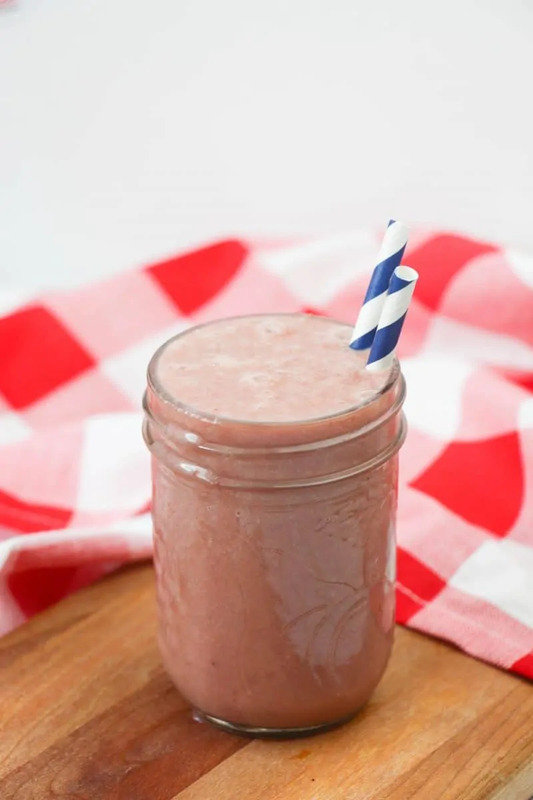 If you’re looking for something different, why not try this pineapple cherry smoothie recipe? It’s packed with awesome flavors and sure to be a hit with everyone in the family. Best of all, this smoothie is as easy to make as tossing all the ingredients in your blender. Okay, I know, I know. Enough talking, let's get down to how to make this easy pineapple cherry smoothie. Start by gathering and preparing your ingredients. You will need: frozen pineapple chunks, cherries (pitted) , kale, almond milk, and vanilla extract. 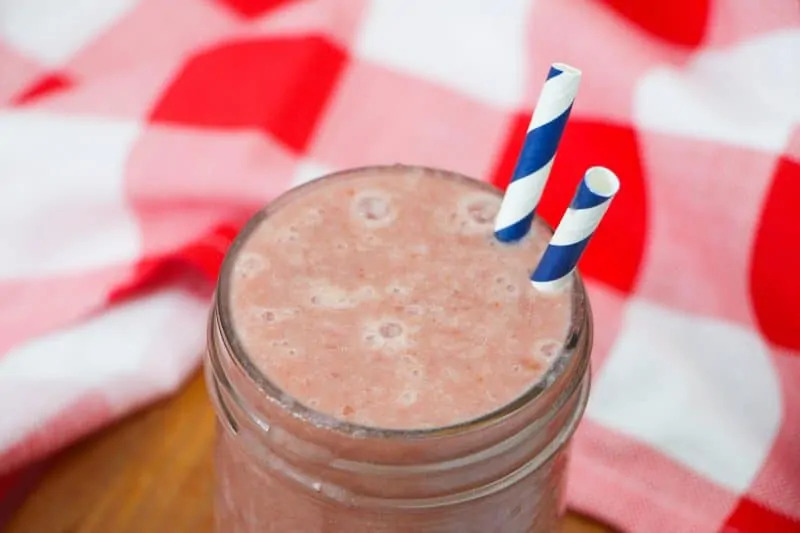 If you would like to make this a gluten-free smoothie recipe, make sure to use an almond milk, yogurt, and vanilla extract that are labeled as gluten-free. You will need a nice smoothie-style blender as well. We love our Nutribullet Pro and use it all. the. time. Place all your ingredients in a smoothie-style blender and puree until smooth. Add additional almond milk to thin, in necessary. 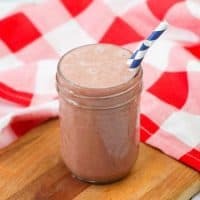 Making this Pineapple Cherry Smoothie for Kids? 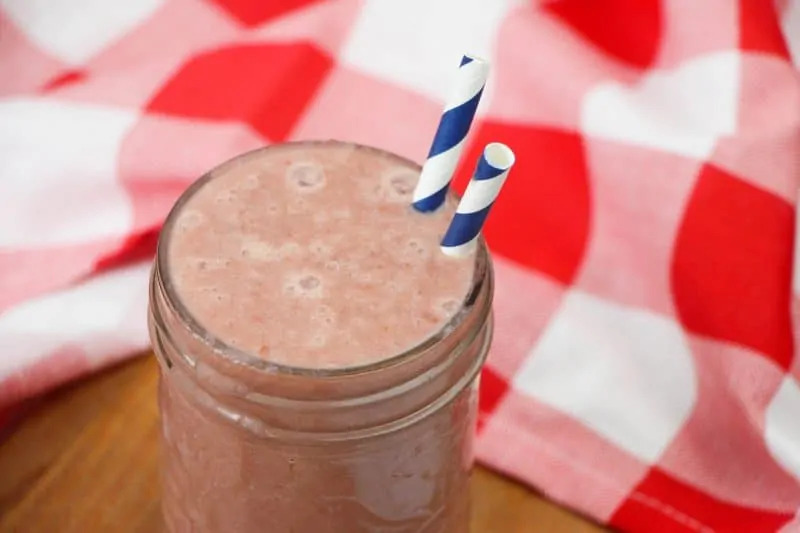 If making this pineapple cherry smoothie for kids that won't drink a green-colored smoothie you may want to puree without the kale at first, then add in the kale slowly to ensure that it doesn't change the color of the smoothie. Alternatively, you can use a green smoothie powder to add in some greens without turning the smoothie a green color. 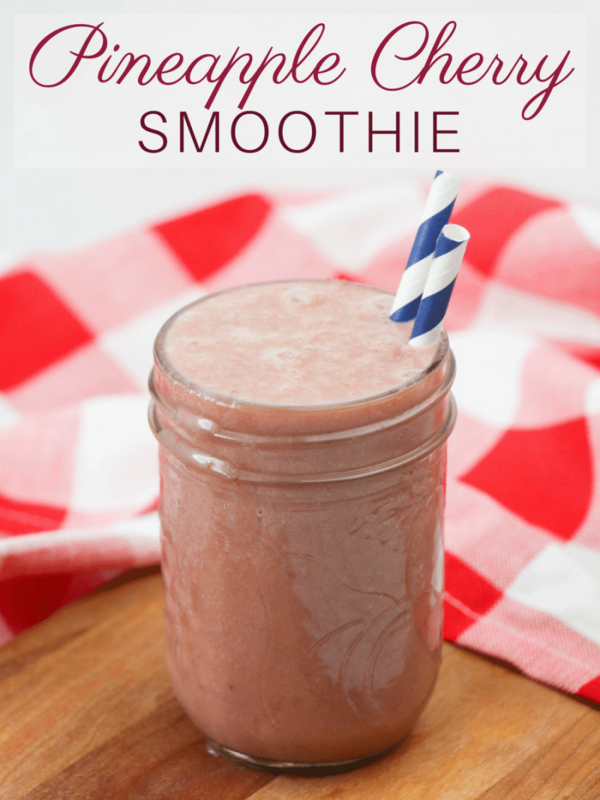 I hope that you and your family enjoy this easy pineapple cherry smoothie recipe. We would love to hear low you liked it in the comments below! Place all ingredients in a smoothie-style blender and puree until smooth. If necessary, add a small amount of additional almond milk to help thin out the smoothie. When making for kids, you may want to puree without the kale and then add in small additions to ensure that it doesn't change the color of the smoothie. Or, alternatively, you can use a green smoothie powder to add the greens without the color. This smoothie is right up my alley. 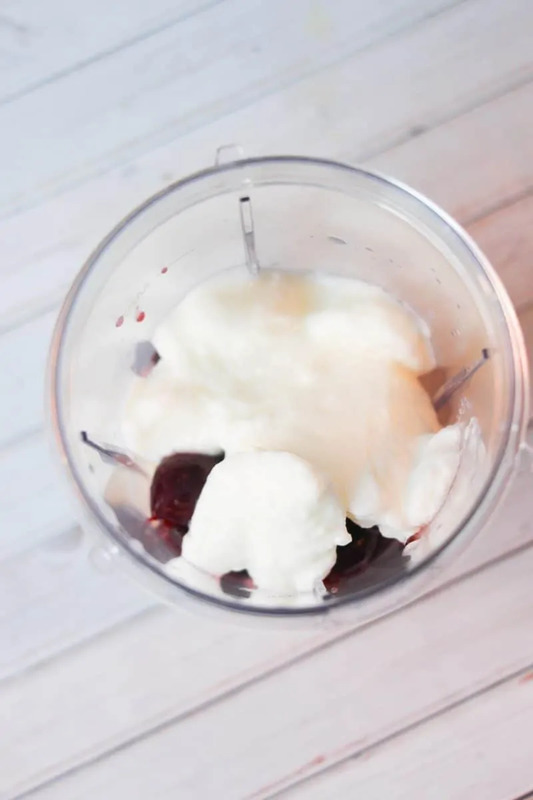 Frozen cherries are my go to for every smoothie I make. Yum! I never would have thought to combine pineapple and cherry! What a refreshing recipe idea! I’ve never thought of this combination. It looks yummy. Thanks for posting! I had to pin this! This is easy, tasty and healthy for all ages! I like your suggestions of changing the colors of the smoothie so it looks more appealing to the children. Thank you for sharing! I’m not that big on cherries, but this looks so delicious! I never thought to put pineapple and cherries together in a smoothie. Going to have to try this out! Great tip about sneaking in the greens for kids – this looks refreshing for a summer morning.